You must report your high-yield savings account interest income on your taxes. 1. 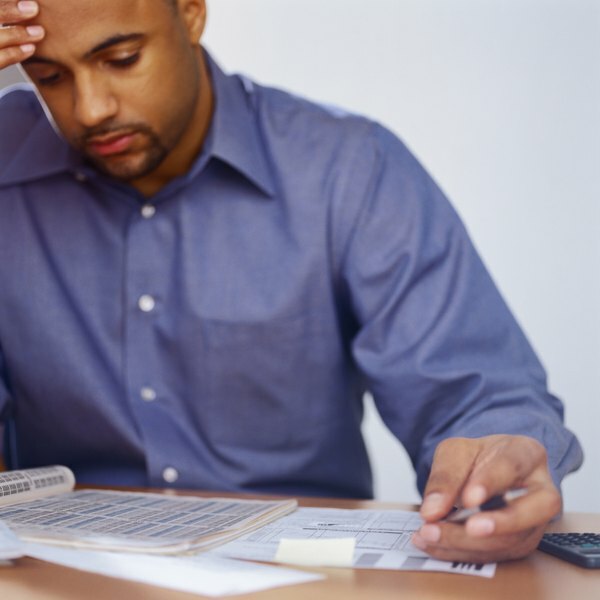 Do I Need to File a 1099 Form for a Savings Account? 2. Which Tax Form Do I Fill Out If I Inherit a Savings Account? Maximizing your interest rates in a savings account helps to add money to your portfolio in a relatively low-risk manner. Though a high-yield savings account means more money in your pocket at the end of the year, it also means you must share a little more with Uncle Sam in the form of taxable income. You must include the interest paid on your high-yield savings account on your income tax return but not any of the principle balance in the account. For example, if your high-yield savings account pays you $78 in interest during the year, you must report that amount of interest income on your taxes. This holds true even if you don't take the money out of the account, because once it's paid to the account, you have the ability to withdraw it whenever you want. As long as your high-yield savings account paid you $10 of interest or more, you should receive a Form 1099-INT after the close of the year that tells you exactly how much you received. If you received less than $10, you're still responsible for reporting it on your income taxes. To figure how much you were paid, check your last bank statement for the account to find the interest paid for the entire year. If you have less than $1,500 of interest income for the year, you can just report the total of your interest income, including the interest on your high-yield savings account, on your tax return. For Form 1040EZ, it goes on line 3. On Form 1040A or Form 1040, it goes on line 8a. However, if you have more than $1,500 in total interest income, you must also complete Schedule B to show each source of interest income, as of publication. For most people, the interest is just added to your other income and taxed at your marginal tax rate. Interest never qualifies for the lower long-term capital gains rates, even if you left the money in the account for more than one year. However, if your income exceeds the threshold for the net investment income tax, you owe an extra 3.8 percent on the interest income. As of 2013, the net investment income tax applies if your modified adjusted gross income exceeds $250,000 if you're married and filing jointly, $200,000 if you're single or $125,000 if you're married and filing separately.